A vehicle was traveling northbound on 91st Avenue near Campbell when someone from another vehicle fired shots at it, police said. PHOENIX — A man sustained life-threatening injuries after a shooting early Monday morning in Phoenix, police said. According to police, around 3:40 a.m., a vehicle was traveling northbound on 91st Avenue near Campbell when someone from another vehicle fired shots at it. A man was driving the vehicle and was shot, sustaining life-threatening injuries, officials said. 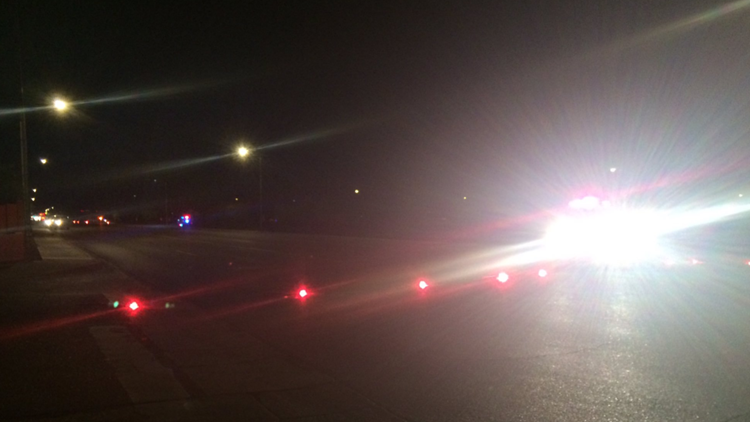 His vehicle came to a stop on 91st Avenue and there are no more details available at this time, Phoenix PD said. The identity of the victim or suspect information was not initially released. Traffic is shut down northbound and southbound from Indian School Road to Camelback Road on 91st Avenue, authorities said. Police said traffic is also shutdown on Campbell at 91st Avenue.